You guys, it has taken me close to a year to get these pictures and share this Figure 8 Island project with you, but with everything going on, I can believe it. 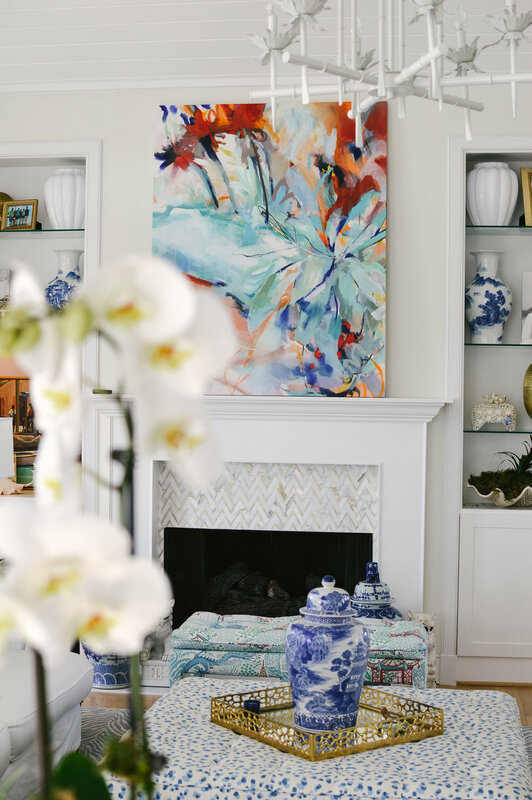 I am so excited to share these photos of this collaborative project that came together in such a dramatically stunning way, so many thanks to Payne and Pearson Designs! 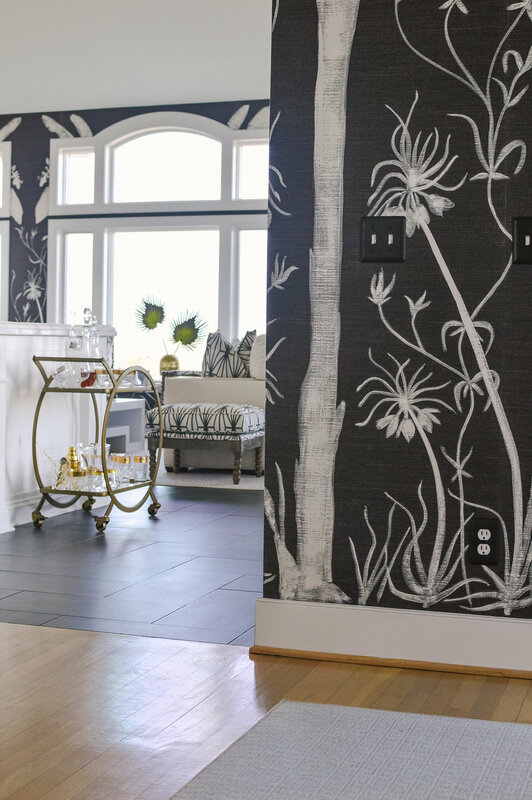 April Pearson, the visionary behind this beach house renovation wanted to create a space full of drama encased by a floor to ceiling mural on black grasscloth wallpaper. ‘Nough said! 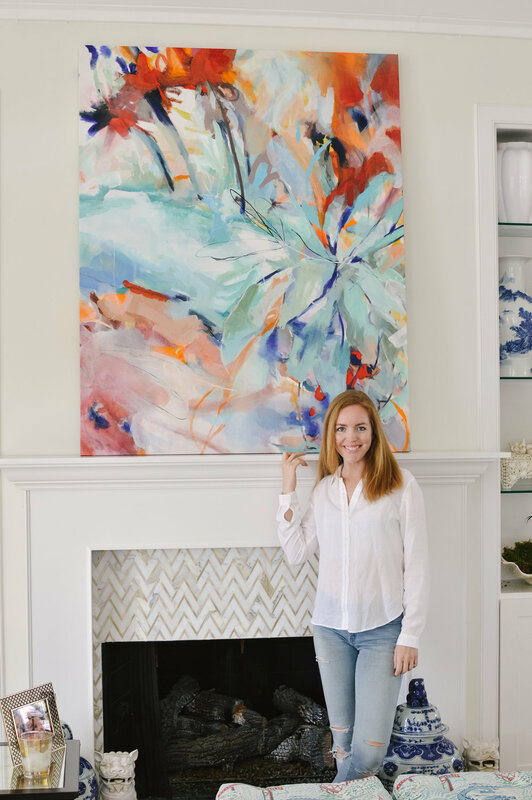 Want to get all the info on how to make something similar in your own space? Sign up below, and I will send you all the details!